What three words could possibly help to make sure your children are never cyber-bullied? You may be surprised at the answer. These days, more and more of us are feeling challenged with the economy and therefore are picking up extra jobs and packing our schedule full of career-based activities. I totally understand. In my opinion, it is our children who are sometimes losing out. The connection between parents and children is being eroded. We are all doing our best to make ends meet, earn a living and provide for our families. Every day we operate from a list of priorities, whether we know it or not. I think our children need to be as high as possible on that list of priorities. This entry was posted in bullying prevention, cyber-bullying and tagged cyberbullying, stop bullying on January 30, 2014 by Bruce. Do you know what your children are uploading to the Internet? 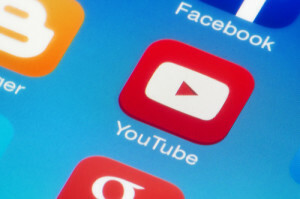 How many videos do you think your child loads in a day, in a week, in a month? Even 10 second videos can tell a story or send a message that could be 100% positive or, on the other side of the coin not so positive. The same can be said for static images. Maybe your child just uploads a picture once in a while? Or could it be that hundreds of images are being posted every week by your children? This entry was posted in bullying prevention and tagged Child Safety, safe uploads, videos on December 11, 2013 by Bruce. Password protection can help prevent cyber-bullying or your children choosing rock solid passwords? In fact, many children tend to use the name of their pet, their street or even their teacher’s last name. There now hundreds of social media platforms available. Every one of them must be accessed with a username and password. However, if the password is weak, it can be easily compromised. Here’s a tip to help your children choose a password which will not be hacked. This is also effective for adults or anyone wanting to make sure they are safe online. This 14 digit password has upper and lowercase letters. It has a symbol, two numbers and other characters also. There are no words found in this password. These are important features of a good password. Use this method and encourage your children to do the same when choosing passwords which no one else will be able to guess or hack. Just make sure you remember the sentence and don’t write it down. 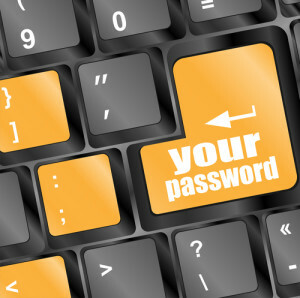 Once you write down a password, chances are vastly increased that someone else could find and use it. 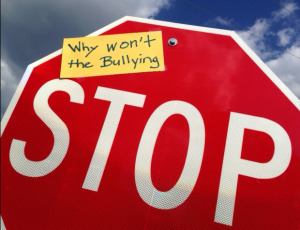 This entry was posted in bullying prevention and tagged Anti-Bullying Workshops, bullying advice, cyber bullying on November 18, 2013 by Bruce. How to stop social media from stressing your children? 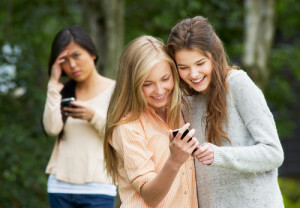 Did you know your children could be stressing out over their social media friends list? 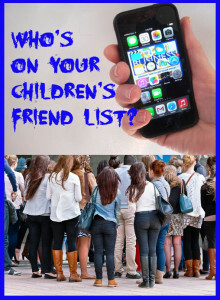 Some children become very concerned about the number of friends on their friends list or likes on their page. Many parents do not realize the kinds of issues that sometimes concern their children. Social media is on the minds of more and more of our youth. Are your children active on social media? Have you given them permission to be on Facebook, Twitter, Instagram or Snapchat? Friendster, Google Plus, Pinterest and Tumblr are some other social media sites where your children may be active. How much time are you children spending on social media? Studies show that children from the ages of 13 to 17 are spending over two hours a day on social media sites on the Internet. It is estimated that over 8 million children below the age of 13 are active on Facebook. Facebook is intended for users aged 13 and older. This entry was posted in anti-bullying, bullying prevention, cyber-bullying and tagged bullying advice, Dufferin Peel Catholic District School Board Cyberbullying, Violence and Abuse on October 11, 2013 by Bruce. Anger can really affect how we act and treat people. I’m sure this statement is obvious to you, but when you live with people, namely your brothers and sisters, you get to know them in a way no one else does. Sometimes this is good and sometimes not so good. If power struggles develop, then bullying can start to happen. Anger can be a result. One of the characteristics of bullying is that it can take place when there is an imbalance of power. Maybe you think you are better, stronger, smarter or wiser than your brother or sister. Or maybe that’s how they feel about you. If you realize you are mistreating people in your family and maybe you are feeling a bit more powerful or better than them, you can make the decision to change how to treat them. If you do, you will notice a big change in how you are treated as well. You will start to be respected more. Family members might even ask you for advice. If you feel someone else in your family is mistreating you and they think they are more powerful or better than you, it can be tough sometimes to change that situation. You may be able to talk to them about how you feel. It may be necessary to talk with your parents about the situation. Try to control your anger about the situation and also try not to be a know-it-all. Don’t be bossy or arrogant. Just realize it will take time to change the situation, especially if it has been going on for a long time. Remember, the way you treat others is often how they will treat you. It is usually easier to judge others than it is to see how you appear to other people. Your brothers and sisters need to be treated with respect just as everyone else is. This is an ongoing project. Aim to be kind and peaceful and think about how you’ve achieved this at the end of every day. Bruce Langford is an anti-bullying advocate who offers school presentations on bullying & respect. This entry was posted in bullying prevention, Parenting and tagged respect for siblings, sibling bullying on July 10, 2013 by Bruce. As an anti-bullying week event we visited Sir Wilfrid Laurier public school in Hamilton on November 19, 2012 to present a parent/child presentation called ‘Stand up – Keep Your Kids’. We had a great audience of receptive parents and children who were eager to learn more about bullying prevention. A group of enthusiastic children arrived early to practice role-plays, which they did with sincere conviction. 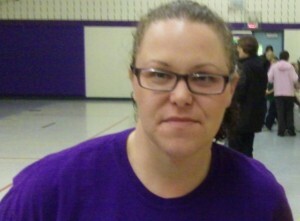 Parent Council representative, Dayna Liddle, was one of the parents in charge of arranging and overseeing the event. Dayna is obviously adamant about bullying prevention. We talked about a number of concepts which parents can use to help safeguard their children at home, school, and in their communities. Here is an overview of three strategies we discussed. The energy a human being exudes often comes across as being positive or negative. It is important to ensure that our children are sending positive vibrations to the world, as in my opinion, this positive energy will also attract positive energy. As parents, it is important to encourage our children to walk with confidence and show confidence in the way they carry themselves. If we are constantly criticizing our children or finding fault with the way they do things, they will develop a low self-esteem that will begin to be apparent wherever they go. Instead, it is important to lift up our children, encourage them, look for the positive, and help them to understand that they are valued individuals who can make a decided difference with their friends or in their community. I strongly believe children who carry themselves in a positive manner, will be targeted less often in bullying situations. As a parent myself, I understand that it is my job to direct my son if he makes a mistake or does not follow directions. I know I need to be firm and definite about my expectations, however, it is vital that I also help to build up his self-esteem on a continuous basis. When police officers do presentations about cyber bullying, one of the things they talk about is making sure that the computer is in a central place in your home. I also emphasize this very same idea. The computer should not be located at the back of your family room, the corner of your basement or in your child’s bedroom if it is connected to the Internet. Make sure the computer is in a central place like the kitchen or family room where everyone goes. As an adult we are all responsible for making sure we know exactly what our children are doing online. This includes games, research, online chatting, and social media websites such as Facebook or twitter. Many parents are concerned about their child’s safety, and rightly so. As an effort to keep our children safe many of us provide our children with cell phones. 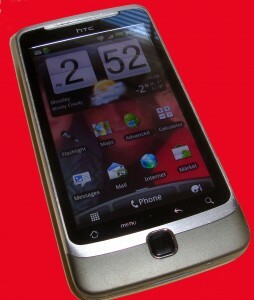 However cell phones usually have many capabilities including cameras and video cameras and GPS. These functions while being very useful can also complicate life and provide interesting tools for would be cyber bullies. If a fight breaks out at your child’s school, someone is likely to pull out a cell phone and start videotaping the event. We all know that it is popular to upload these kinds of videos to YouTube or similar sites. Videos such as this often get a high number of hits and it can be a real perk for a student who is trying to get attention. Also what many parents don’t realize is that YouTube will pay users who get a large number of hits on their site. This can also be incentive to upload videos such as I have described. As a presenter and anti-bullying advocate, I appreciate the fact that this anti-bullying event was made possible by an Ontario government PRO grant. Thanks to everyone who helped organize and support this event at Sir Wilfrid Laurier Public School in Hamilton. This entry was posted in Bullying Advice, Bullying in elementary school, bullying prevention, Education Subsidies, Parenting and tagged anti-bullying presentations, bruce langford, bullying prevention, cyber bullying, Hamilton Wentworth District School Board, HWDSB, pro grants, reduce bullying, school speaker, stand up against bullying on November 28, 2012 by Bruce. Back to school can be a stressful time for kids that are bullied. I have put together some ideas to help you reduce your stress and move forward. Most people agree that if you are feeling stress, you need to get moving. 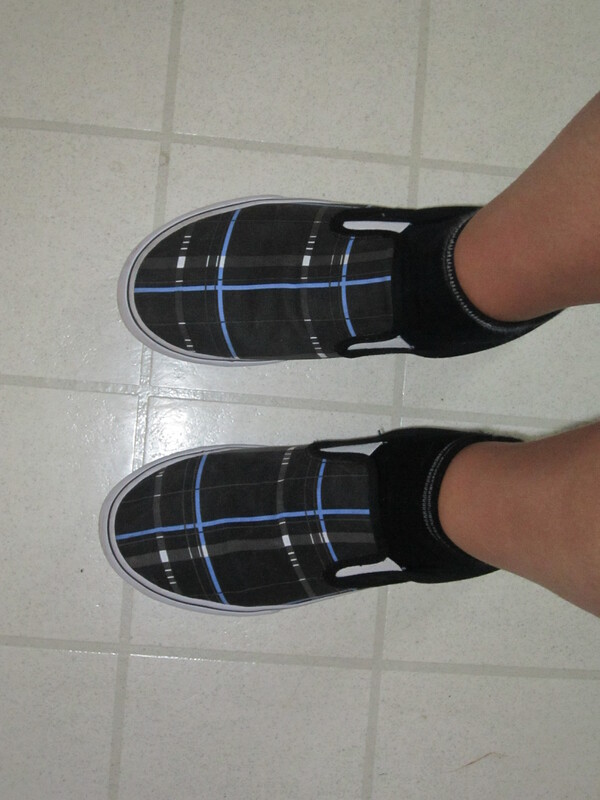 One guy told me that anytime he feels stress, he looks at his feet. He means he reminds himself he needs to get moving. He goes on a quick walk or jog, or he gets up and starts doing anything that comes to mind. He just gets moving. I am comfortable and happy at this very moment. The words easy / relaxed / positive / comfortable / happy will start to subconsciously tell your brain to be this way. This is not a new idea, but it can have a very powerful effect, especially if you memorize the two lines and just say them over and over in your mind, any time your mind is stressing you out. If you want to give this idea a try, you can do an on-line search for mantras. That is the name for a phrase you repeat over and over in your mind to take control of your thought process. Don’t get bogged down though, because a lot of information about mantras is spiritual or in other languages. Mantras don’t need to be confusing or complicated. Just put some words together that make you feel good like I’ve suggested above. Stay away from words like tension or stress or bully. In other words don’t make a mantra like “I won’t be stressed and I will block out tension. I will not allow people to bully me”. The problem with that mantra is that the brain will hear the words stress / tension & bully and it won’t have a positive effect. Usually stress comes from negative thoughts in your mind. If you can replace those negative thoughts with positive thoughts, you can start to take charge of your thought process and leave a lot of your stress behind. Of course, some stress is completely normal. If you didn’t stress out a little about certain things, you might not achieve much. Some people say certain kinds of stress are good because it gets us moving and we take action. Too much stress is when things get dicey. Health problems can start, like upset stomach or headaches or rashes. They say the list is endless. 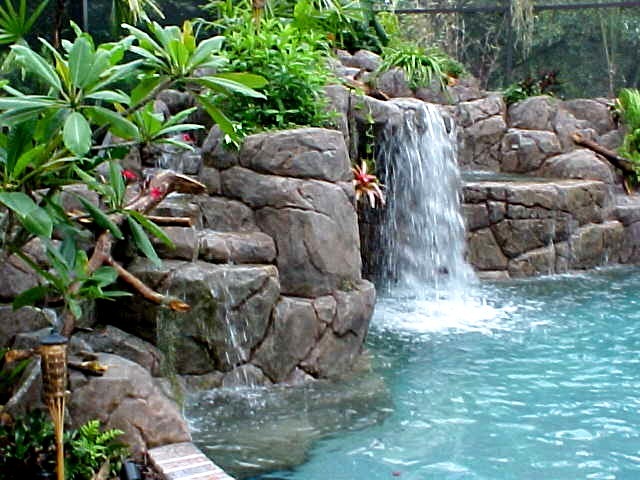 Rather than thinking about stress, why not think about relaxed living. Of course, these ideas are my personal opinions, but I have found the suggestions can really make a difference and actually reduce stress quite a bit. If you found them helpful, please leave me a quick reply. This entry was posted in bullying, bullying prevention and tagged back to school, bullying, Health, mantras, Mental health, Stress on August 31, 2012 by StandUpAgainstBullyingGuy. Be willing to speak up in support of maintaining nature’s systems that make our earth so magnificent. Treat the earth with consideration. Do your part every day to make the earth a better place. including clean air to breathe and fresh water to enjoy. We must preserve these gifts by all working together to maintain the natural resources the earth provides. keep your relationships filled with respect. Bit by bit the concept of bullying will become even more abhorrent than it already is. Beat bullying by building respect and living it everyday just as we celebrate Earth Day by showing respect to our planet. This entry was posted in anti-bullying, bullying prevention, earth day, respect in school and tagged bruce langford, bullyingguy, Earth Day, inspiration, reduce bullying, TDSB, Toronto District School Board on April 22, 2012 by StandUpAgainstBullyingGuy. 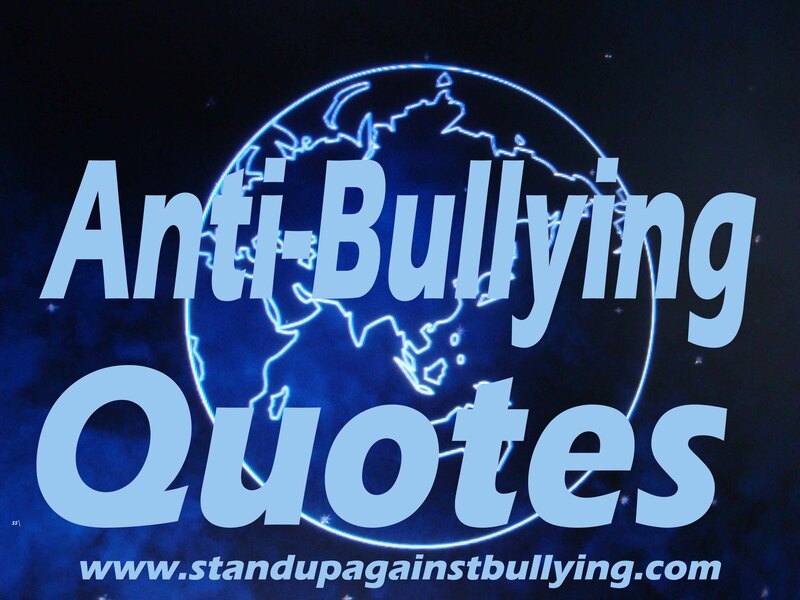 This entry was posted in Bullying Advice, bullying prevention, bullying quotes and tagged Adam Lambert, bruce langford, bully, bullying tips, reduce bullying, Wendy Mass on April 15, 2012 by StandUpAgainstBullyingGuy.